Need an affordable and reliable monitor for business and office-related work? In this buyer’s guide, you will find the best PC monitors for reading documents, productivity, spreadsheets, Excel, and other similar tasks. We’ve selected various options, so you can pick your best office monitor according to your budget and preference. 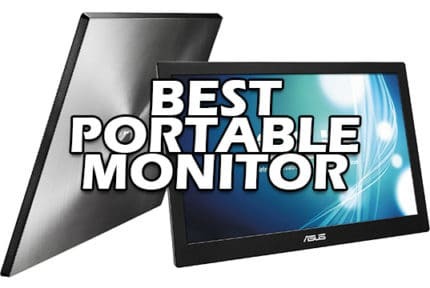 Additionally, you can visit our best photo and video editing monitors, best portable monitors, and best monitors for multi-display setups buyer’s guides for a more specific selection. Note that all monitors in this list have a flicker-free backlight and an integrated low-blue light filter. Therefore, you don’t have to worry about eye fatigue, headaches, and eye strain caused by looking at the screen for extended periods of time. Next, each display offers medium to high pixel density i.e. pixel-per-inch ratio which will ensure you get plenty of screen space to work with as well as sharp and crisp picture quality. As you can see, almost all monitors feature an IPS panel meaning that you’ll get the widest viewing angles and the most accurate and consistent colors. For more information on what specs to look out for, visit our comprehensive monitor buyer’s guide. As long as you stick to our guidelines, we guarantee that you’ll find the best computer monitor for your office-related tasks. Looking for a cheap monitor that’s actually good and reliable? No problem, the following monitors offer excellent value for the price and they are more than good enough for work. The AOC I1659FWUX is a 15.6″ 1080p IPS portable monitor that’s powered via USB 3.0. It’s ideal as a secondary monitor for your laptop when you have to work on the go. 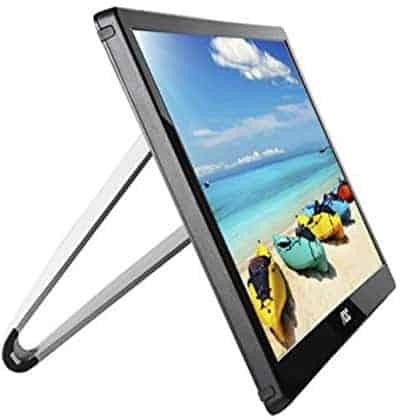 This portable monitor is based on an IPS panel with a peak brightness of 220-nits, a contrast ratio of 700:1, a pixel density of 141 PPI (pixels per inch), 60Hz, 160° viewing angles, and 1080p resolution. Overall, it’s the best portable monitor for the money as you get a crystal-clear image quality with wide viewing angles and vibrant colors. Alternatively, if you’re looking for something similar, you can visit our best portable monitors buyer’s guide for more portable displays including models with USB-C, HDMI, VGA, built-in batteries, modern designs, etc. While the design may appear to be bulky, the AOC I1659FWUX is fairly lightweight, weighing only 2.64 lbs (1.19 kg). Additionally, it’s VESA mount compatible with 75 x 75mm holes if you wish to mount the screen on a third-party stand. On balance, the AOC I1659FWUX is the best budget portable work monitor; it offers the same picture quality as the more expensive models. 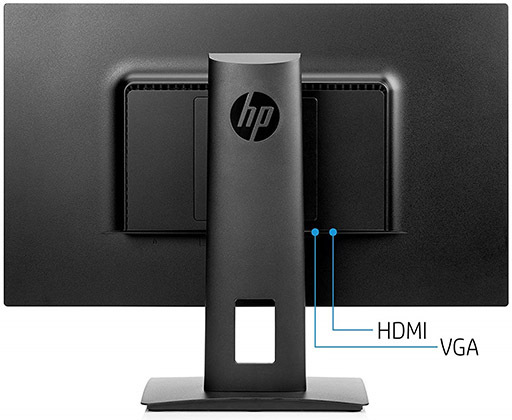 The HP VH240a is the best 24″ IPS 1080p 60Hz monitor for the money. Due to its ergonomic design, affordable price, and very thin bezels, it’s also the best monitor for multi-display setups on a budget. Based on an IPS panel with a 250-nit peak brightness, a 1,000:1 static contrast ratio, 178° degree viewing angles, 1080p resolution, 60Hz, and 8-bit color depth, the HP VH240a monitor offers an exceptional picture quality for the price. In fact, at this price range, you won’t be able to find a monitor with better image quality. You will find similarly-priced 24″ 1080p displays such as the LG 24MP59G with a slightly higher refresh rate and more gaming features including FreeSync and 1ms MBR – but no adjustable stand. One of the main features of the HP VH240a is its ability to pivot its screen into portrait orientation which will certainly appeal to programmers and photographers. Moreover, you can elevate its screen up to 100mm, swivel it by -/+ 180°, tilt by -5°/30° or mount it using the 100 x 100mm VESA pattern. Connectivity options include a VGA, an HDMI, a headphones jack, and an audio line-in for the two 2W built-in speakers. All in all, the HP VH240a pivoting monitor is undoubtedly the best monitor for office work under $150. If you want a 27″ business monitor, avoid 1080p displays as they offer a low pixel density and therefore limit your screen real estate. 27″ 1440p monitors, on the other hand, provide you with maximum screen space and details without any scaling necessary thanks to their perfect pixel-per-inch ratio. 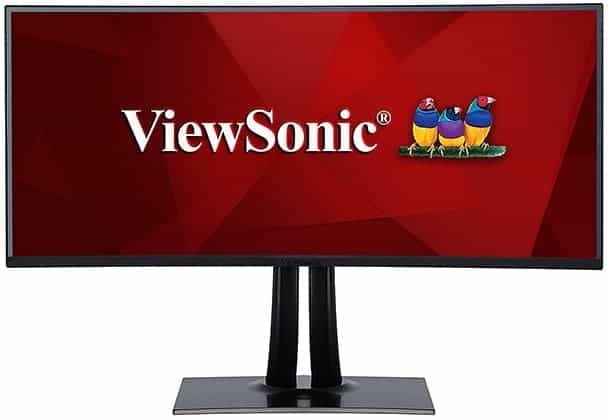 The ViewSonic VA2719-2K-SMHD is the most cost-efficient 1440p display yet it offers a high pixel density, vibrant colors, and plenty of connectivity options. Thanks to its 10-bit IPS panel, you get 1.07 billion colors which along the high resolution makes for stunning details and visuals. Alternatively, you may be interested in the Lenovo L27Q although it lacks VESA mount compatibility and built-in speakers whereas the ViewSonic VA2719 offers both. Unfortunately, the monitor has a tilt-only design but it’s VESA mount compatible with 100 x 100mm holes and has fairly thin bezels making it an ideal choice for a multi-monitor setup. Connectivity options are abundant and include two HDMI ports, a DisplayPort, an audio line-out for the headphones and line-in for the 2x3W speakers. Overall, the ViewSonic VA2719 offers the best bang for the money when it comes to office use as you get plenty of screen space as well as gorgeous colors for an affordable price. The LG 29WK600 is the best ultra-wide workstation monitor for the money. Ultrawide monitors have an aspect ratio of 21:9 as opposed to regular 16:9 widescreen displays. This means that you get extra horizontal workspace which is ideal for audio and video editing as you get a wider view of your timelines. In addition, the LG 29WK600 has an IPS panel with 99% sRGB color gamut which makes it adequate for amateurs and entry-level photographers/designers as well. Further, thanks to its 2560×1080 screen resolution, you get a decent pixel density of 96 PPI which makes for sufficient workspace and detail clarity. Using the On-Screen Control feature, you can adjust most of OSD (On-Screen Display) settings in a desktop application including Screen Split which allows you to split the screen in different layouts and snap application windows to the desired certain part of the screen. The LG 29WK600 productivity monitor also offers plenty of gaming features including FreeSync which provides a variable refresh rate up to 75Hz for tearing-free gaming experience if you have a compatible AMD graphics card. Lastly, the monitor supports HDR10 though it is software-enabled only, so you don’t get a notable boost in image quality for HDR content but you also don’t pay extra due to this feature. For more information visit our HDR for monitors article. The LG 29WK600 design consists of very thin bezels though there is a 1cm black border around the edge of the screen. At first, the monitor may seem a bit odd as if it’s too wide for its height since it is as tall as a regular 23″ monitor, but you’ll quickly get used to it and cherish the extra horizontal screen space. At the back of the monitor, you will find two HDMI 2.0 ports, a DisplayPort, a headphones jack, and two 5W MaxxAudio speakers. There’s a 100 x 100mm pattern for VESA mount, but the design is tilt-only. If you’re looking for the best budget ultrawide monitor for work, the LG 29WK600 definitely offers the best bang for the buck. In short, the AOC Q3279VWFD8 is the best 32-inch monitor for the money and it’s actually good for both gaming and work. Now, with a 32″ 1440p monitor you get the same pixel-per-inch ratio as you’d get on a 24″ 1080p monitor. So, if productivity is your main concern, you’d be better off with two or three HP VH240a displays instead which you can get for roughly the same price. In case you want a big monitor with good detail clarity, then the AOC Q3279VWFD8 is a solid choice. But, keep in mind that a 27″ 1440p monitor such as the ViewSonic VA2719 would provide you with better details and more screen space. 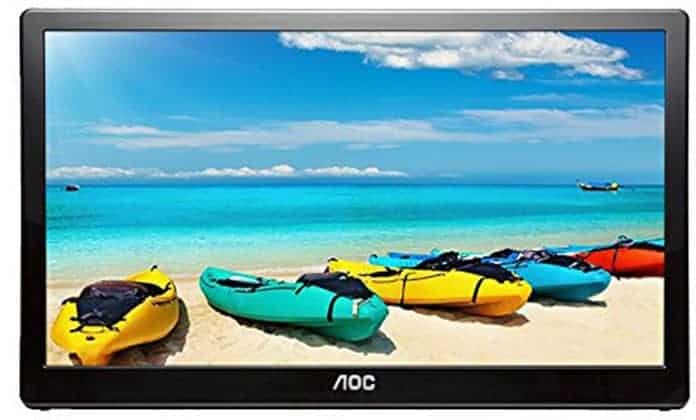 Moving on, the AOC Q3279VWFD8 has an IPS panel with 10-bit color support, a 250-nit peak brightness, and 1,200:1 contrast ratio which ensures an excellent picture quality. Additionally, the monitor is equipped with plenty of gaming features including AMD FreeSync up to 75Hz and pre-calibrated picture presets (FPS, RTS, Racing, etc). As far as the connectivity is concerned, you get a DisplayPort, an HDMI, a VGA (max 1920×1080 at 60Hz), a DVI, and a headphones jack. Unfortunately, the design is tilt-only and not VESA mount compatible. In case you really want a big 32″ monitor, the AOC Q3279VWFD8 is the most cost-efficient model and it works equally good for gaming and office-related tasks. In case you can afford something a bit pricier, the following models offer extra features and higher resolutions which can be beneficial for your work. 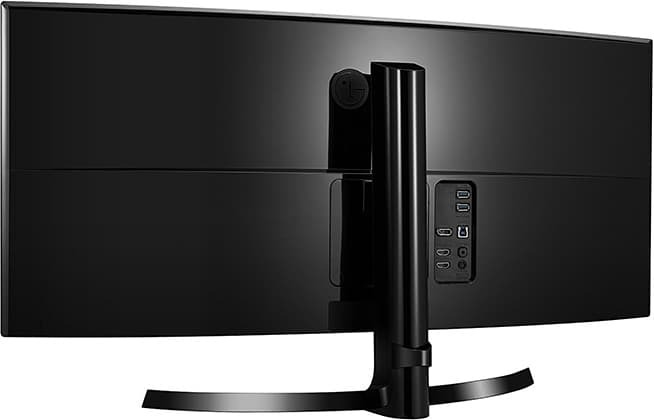 The BenQ EW3270ZL is another 32″ 1440p monitor that excels at office-related tasks as well as video entertainment, especially when it comes to movies. This is the only business computer monitor in our list that features a VA panel. As opposed to IPS panels, VA monitors have a higher contrast ratio, a slower response time, and almost as good viewing angles and color accuracy. While the BenQ EW3270ZL does have a wide color gamut (100% sRGB) and 10-bit color support, IPS panels still offer more accurate and consistent color reproduction which is why we recommend them if your work involves color-critical tasks. On the other hand, thanks to its superior contrast ratio of 3,000:1, black shades are deeper and there are more details in the shadows and highlights of the image which makes movies and video games look more immersive. The viewing angles are 178° both horizontally and vertically, but you can expect some minor and negligible shifts in contrast when you look at the screen from an angle. Although there is more ghosting due to the slower pixel transition time, this isn’t an issue unless you’re playing competitive games – in which case you’d need a gaming monitor with a higher refresh rate anyway. 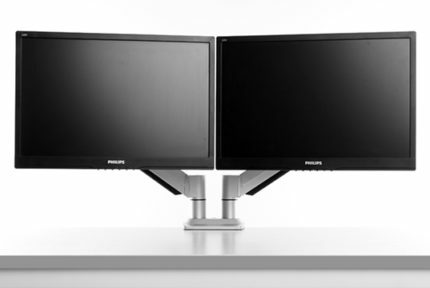 The main asset of the BenQ EW3270ZL office monitor is its cutting-edge Brightness Intelligence Plus technology which involves built-in sensors that automatically adjust the optimal color temperature and brightness according to the ambient lighting. Click on the image above for a demonstration. You can adjust the sensitivity and other settings for this feature or turn it off completely. 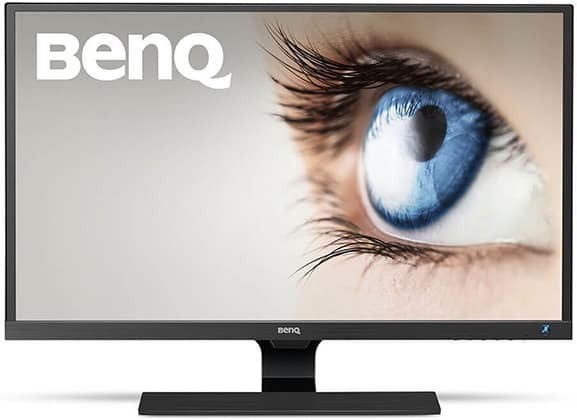 The BenQ EW3270ZL also features an improved version of a low-blue light filter which preserves the image quality as much as possible by only eliminating the harmful blue lights. 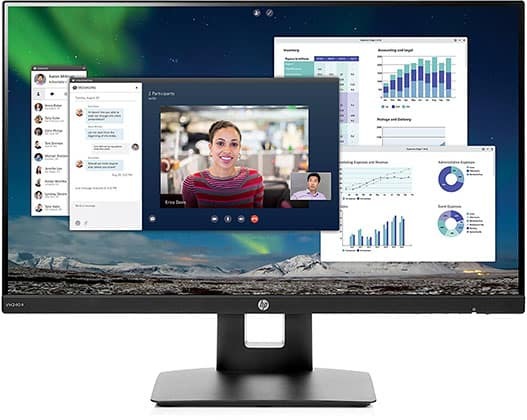 While the design of the monitor is tilt-only and lacks VESA mount compatibility, connectivity options are more generous and include two HDMI 1.4, a DisplayPort, a mini-DisplayPort, a headphones jack, and two 3W built-in speakers. 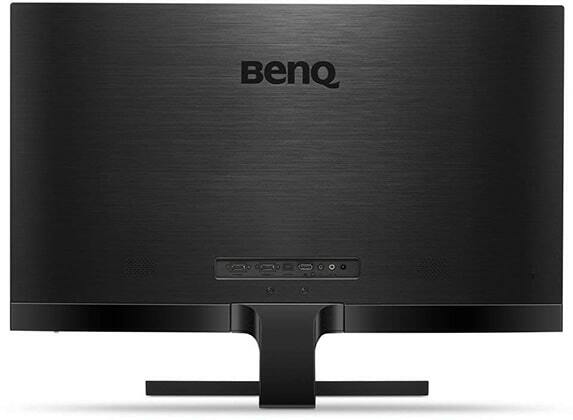 So, should you get the BenQ EW3270ZL VA display? Well, if ocular health is one of your main concerns, then it’s definitely one of the best computer monitors for work out there; plus, you get an excellent image quality! 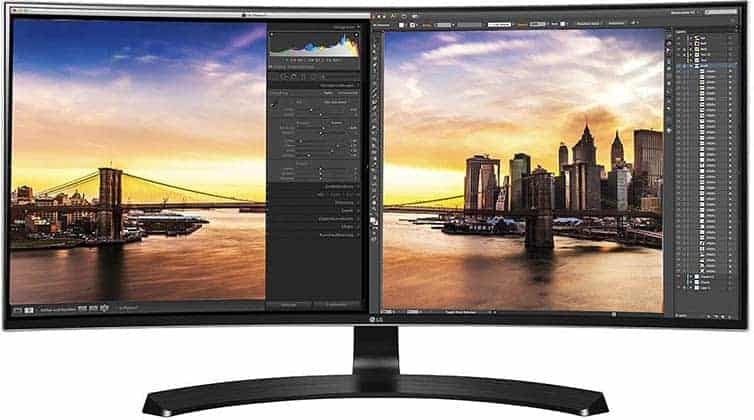 The LG 27UD58 is the most affordable 4K monitor yet it features an IPS panel with striking color quality and offers plenty of additional features. All in all, it’s the best 4K monitor on a budget. Based on an IPS panel with 10-bit color support, 99% sRGB factory-calibrated color gamut, and 4K UHD resolution, the monitor delivers eye-catching details and sharpness thanks to its high pixel density of 163 PPI. 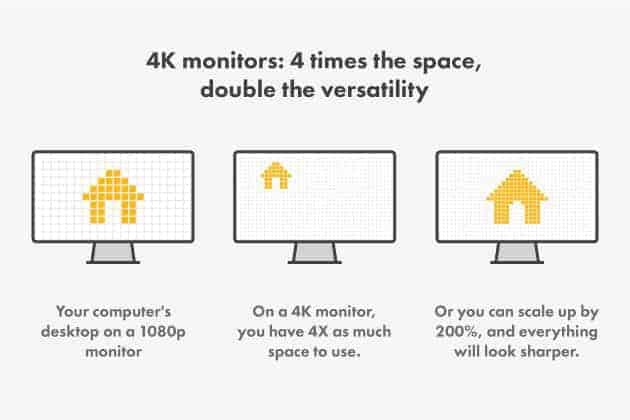 However, many will find that 27″ monitors are too small for 4K UHD as you have to scale your interface for tiny items such as text to be easily readable. In turn, this gives you sharper details but less screen space which is why we don’t recommend 4K monitors for productivity – but for graphic designers and the like. Besides having to sacrifice screen space for detail clarity by scaling, you may run into additional issues as certain applications have poor or no scaling support at all. Other features include On-Screen Control, Screen Split, Game Modes (FPS, RTS, etc), and AMD FreeSync with 40-60Hz dynamic range over DisplayPort. The LG 27UD58 features somewhat thick bezels which is acceptable given its price. 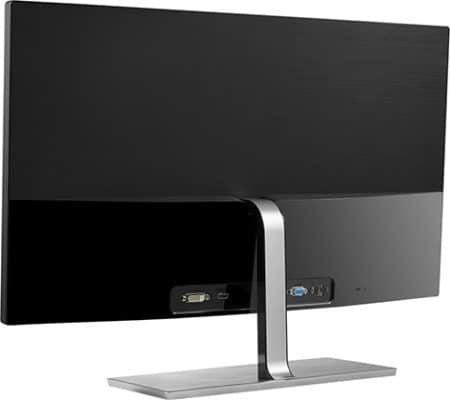 The design is tilt-only, but there are VESA mount holes while connectivity options include two HDMI 2.0, a DisplayPort 1.2, and a headphones jack. If you work requires accurate color reproduction and sharp details, the LG 27UD58 is the perfect budget monitor for you. For spreadsheets and productivity work, a multiple 1080p/1440p setup or an ultrawide display is the way to go. A 32″ 4K monitor provides you with more screen space than a 27″ 4K monitor as you don’t have to scale your apps/interface as much and you still get maximum details. However, there’s also a notable jump in price here. 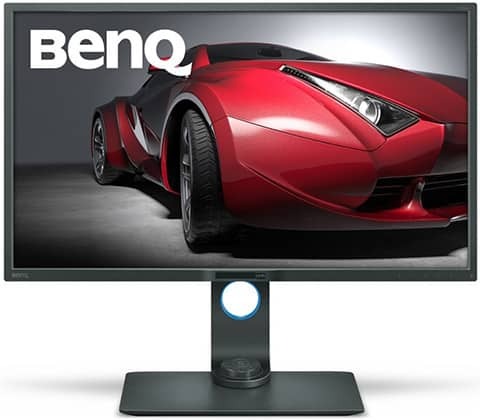 The BenQ PD3200U features an IPS panel with 10-bit color depth, factory-calibrated 100% sRGB and Rec. 709 color gamut, and 4K UHD resolution. What makes this display the best option for designers though is its plethora of useful features. To start with, you get numerous pre-calibrated picture presets such as CAD/CAM, Animation, Darkroom, sRGB and Rec. 709. If you work with SOLIDWORKS, AutoCAD, or other CAD/CAM software, using the CAD/CAM preset allows you to improve the visibility of 3D lines while the Animation mode offers ten gamma curvature presets. The BenQ PD3200U also offers DualView which allows you to split the screen in half and use a different color gamut/preset for each half of the screen. Lastly, there’s a built-in KVM switch that provides you with the ability to control multiple devices connected to the display with just one set of keyboard/mouse. The little device standing on the base of the BenQ PD3200U is called ‘Hotkey Puck’. You can use it to quickly swap between the presets or assign your own shortcuts for OSD-related functions. The monitor offers full ergonomic support with up to 150mm height adjustment, 90° pivot, -5°/20° tilt, -/+ 45° swivel, and VESA mount compatibility. Connectivity options are extensive as well and include two HDMI 2.0, a DisplayPort, a mini-DisplayPort, four downstream and two upstream USB 3.0 ports, and a mini-USB port for the Hotkey Puck device. There’s also a headphones jack, two 5W integrated speakers, and an SD card reader. Thanks to its impeccable color reproduction, high resolution, and exclusive features, the BenQ PD3200U is the best professional monitor for designers. 34″ 3440×1440 ultrawide monitors provide the perfect screen size/resolution ratio for productivity, and the LG 34UC80 is the most cost-efficient model out there. A 34″ 3440×1440 monitor is the same height as a 27″ display and it offers a slightly higher pixel density (109.68 PPI) than a 27″ 1440p display (108.79), so scaling isn’t necessary. So, think of it as a 27″ 1440p monitor that’s 33% wider. Now, getting two 27″ 1440p monitors instead of the LG 34UC80 would be cheaper and you would actually get more screen space that way, but you’d have the bezel/gap in-between the screens. Moreover, some people find dual 27″ monitor setups to be excessive as you have to move your head around or you end up not using all the screen space. Of course, it’s a matter of preference, but for most people 34″ 3440×1440 hits the sweet spot. Other than that, you get an IPS panel that’s factory-calibrated with 99% sRGB color gamut and 10-bit color support. The LG 34UC80 curved screen monitor offers plenty of features including the pre-calibrated picture presets (FPS, RTS, Reader, Photo, Cinema, etc), Picture By Picture and Picture in Picture modes, On-Screen Control, Screen Split, and AMD FreeSync (55-75Hz range over DisplayPort). 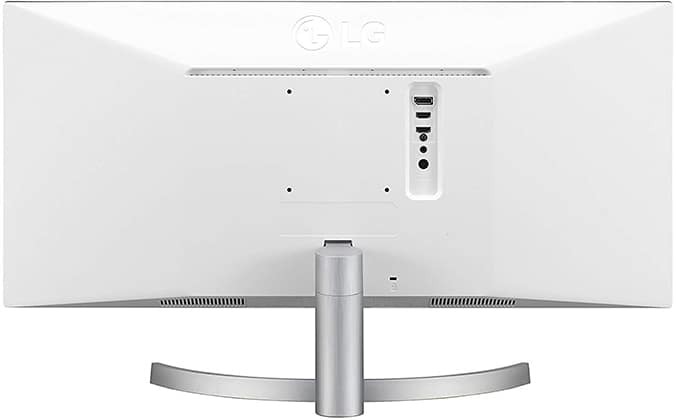 Connectivity options of the LG 34UC80 include two HDMI 2.0, a DisplayPort 1.2, a dual-USB 3.0 hub, and a headphones jack. You can elevate the screen of the monitor up to 120mm, tilt it by -5°/20°, and VESA mount it using the 100 x 100mm pattern. The LG 34UC80 has a screen curvature of 1900R which nicely complements its big screen. In short, curved ultrawide monitors are better for your eyes as the curved shape essentially increases your field of view since you don’t have to move your eyes as much; plus, there’s less screen distortion. Regular widescreen (16:9) curved monitors, on the other hand, aren’t as effective as they’re too small to take advantage of the curvature – unless you have a multi-display setup of curved widescreen monitors. 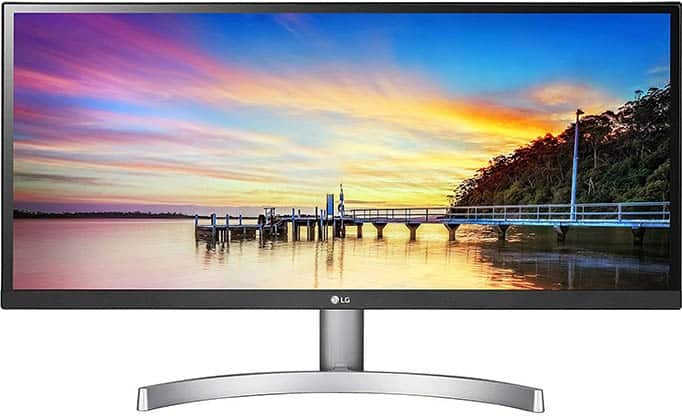 In case you’d still prefer a flat 34″ 3440×1440 monitor, check out the LG 34UM88C which is basically the same monitor as the LG 34UC80 but with a flat screen. When it comes to value for the price, the LG 34UC80 is the best ultrawide monitor for work. 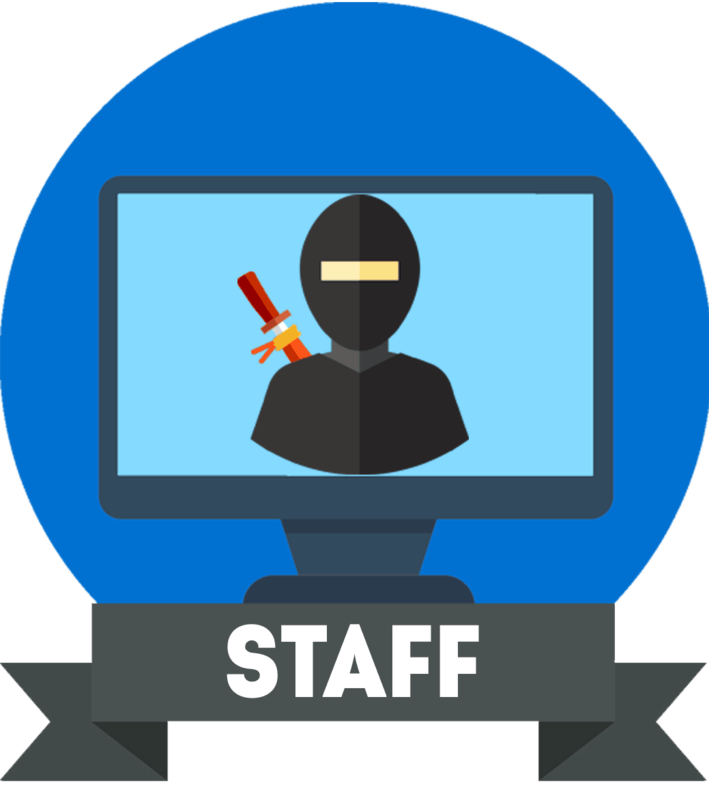 It provides you with plenty of screen space and details while it’s an absolute delight to work with when it comes to audio and video editing. Want the absolute best monitor for business? The following monitors will provide you with the latest features as well as maximum screen space and details for a fair price. 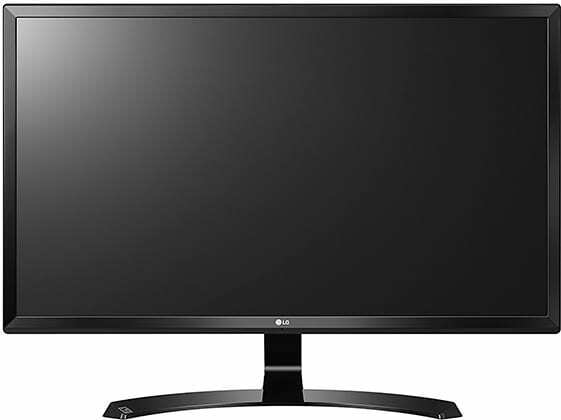 The Dell U3419W is based on the same (1900R curved) IPS panel that’s in the previously-mentioned LG 34UC80. 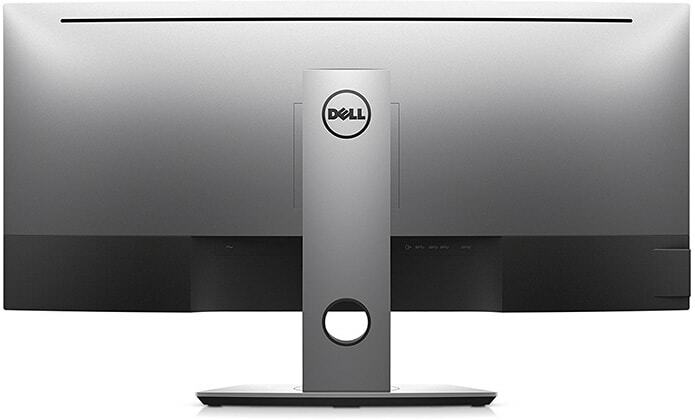 However, Dell’s model features additional features useful for office-related work such as the USB-C connectivity, a built-in KVM switch, and more. First of all, the Dell U3419W is factory-calibrated at Delta E < 3 with 99% sRGB color gamut for professional-grade color accuracy. So, you get a more accurate color reproduction as opposed to the LG 34UC80. Other than that, there isn’t any difference as far as the picture quality is concerned. 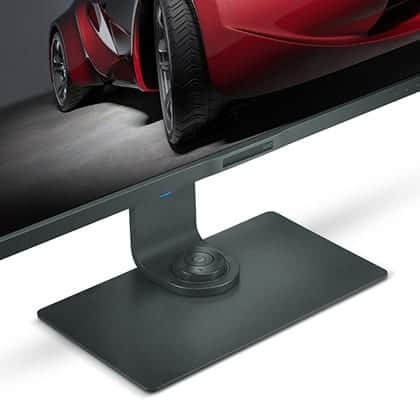 When it comes to the design, the Dell U3419W curved monitor for work has a more premium build quality as well as a more versatile stand with up to 115mm height adjustment, -5°/21° tilt, +/- 30° swivel, and VESA mount compatibility. Connectivity options include two HDMI 2.0, a DisplayPort, and a USB type C port with PD (power delivery) up to 90W allowing you to simultaneously transfer data, video, and power to a compatible device. Additionally, there’s a headphones jack, four downstream and two upstream (for the KVM switch) USB 3.0 ports, and two 9W integrated speakers. 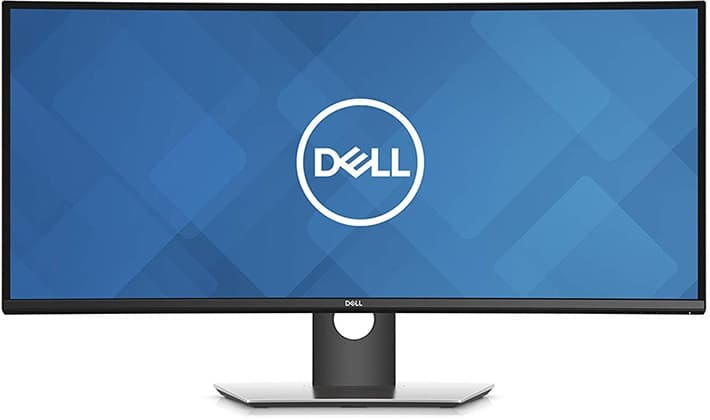 If you need an ultrawide monitor with precise colors and future-proof connectivity options, the Dell U3419W is definitely one of the best monitors for work available. Want an even bigger ultrawide monitor with an even larger screen and better color reproduction? 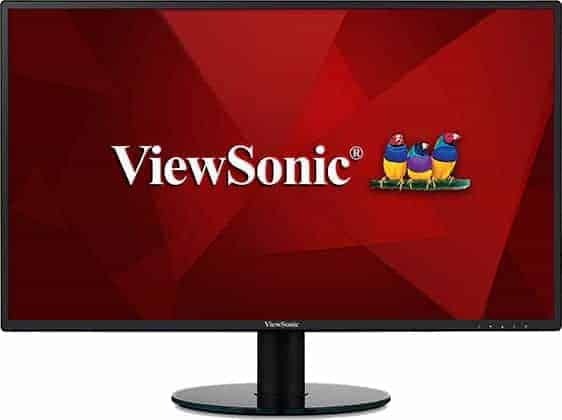 Look no further than the ViewSonic VP3881. 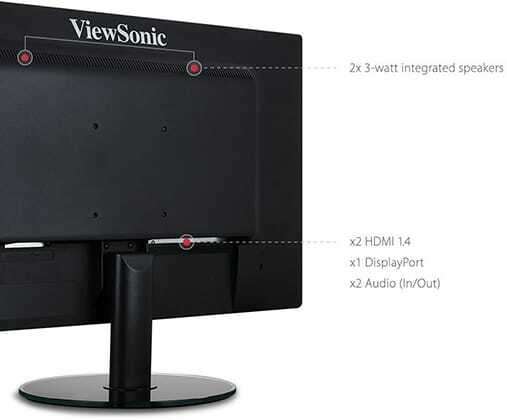 The ViewSonic VP3881 is a 38″ ultrawide monitor with a screen resolution of 3840×1600 (UWQHD+) pixels. So, you’re getting the same pixel density as a 34″ 3440×1440 display offers, but a larger screen as well. Further, the monitor is factory-calibrated at Delta E < 2 (lower is better) with 100% sRGB/Rec. 709 color gamut as well as 14-bit 3D LUT (Look Up Table) support for impeccable color accuracy. Moving on, the ViewSonic VP3881 offers additional useful features such as Dual Color to simultaneously display two different color spaces side by side as well as pre-calibrated picture presets for CAD/CAM, Animation, Video Edit, Photographer, and other use/applications. The monitor can also accept the HDR10 signal of compatible content, but it’s software-enabled only, so you won’t get a notable boost in picture quality. Turning to the connectivity, you’ll find a DisplayPort 1.4, two HDMI 2.0, a USB type C, three downstream and one upstream USB 3.0 ports, and two 5W integrated speakers. 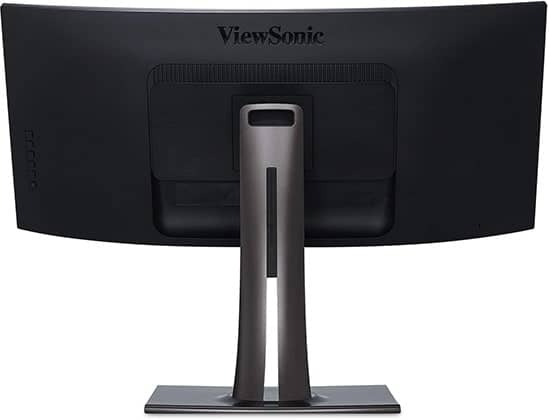 The ViewSonic VP3881 ultrawide monitor has a screen curvature of 2300R which is pretty much necessary for such a wide display. You can elevate the screen up to 130mm, swivel it by +/- 120°, tilt by -1°/21°, and mount it on a wall/mounting arm via the 100 x 100mm VESA mount pattern. For the price, the ViewSonic VP3881 is the best monitor for spreadsheets and productivity as well as for color-critical tasks. 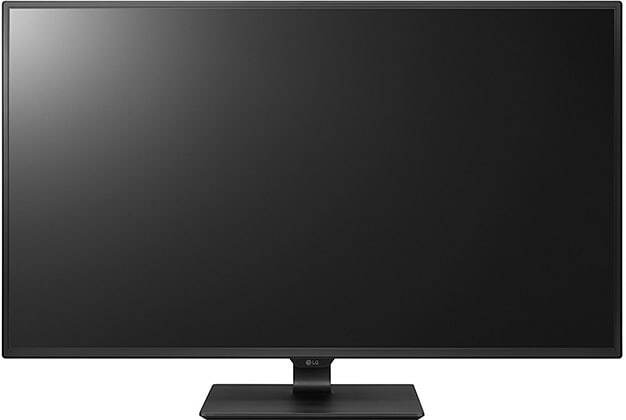 Alternatively, you may be interested in the LG 34WK95U which is the only 2160p ultrawide (5120×2160) display available. It offers a better image quality with 98% DCI-P3 color gamut and DisplayHDR 600, but it’s significantly more expensive, more demanding to drive, and offers less screen space for spreadsheets, documents, etc. The LG 43UD79 is the best 43″ 4K monitor available. However, for most people, a 43″ monitor is simply too big for basic office use. 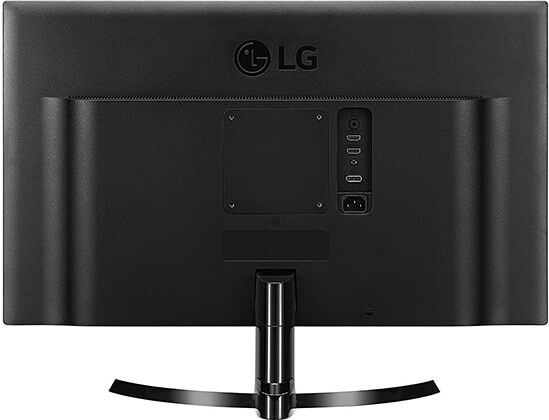 Basically, with the LG 43UD79, you get four 22″ 1080p displays. In fact, thanks to its extensive connectivity options and Picture by Picture mode, you can split the screen in four and simultaneously display up to four different 1080p sources. 4K UHD looks incredibly sharp even on a 43″ screen with a pixel density of 103 pixels per inch which means that no scaling is necessary. 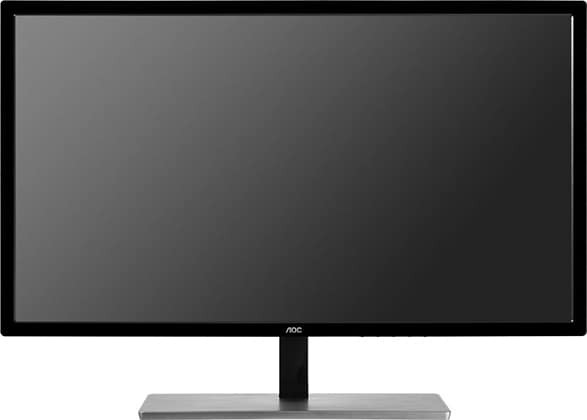 The monitor has an IPS panel with 10-bit color depth, so you can expect wide viewing angles and precise colors. Moreover, thanks to its low input lag and quick response time, the LG 43UD79 is an excellent big screen for responsive PC and console 4K gaming. As expected, the design is tilt-only but it’s VESA mount compatible with 200 x 200mm holes. There’s also a built-in KVM switch, two 10W integrated speakers, and a remote controller provided. Connectivity options include two HDMI 1.4, two HDMI 2.0, a DisplayPort 1.2, a USB type C, two USB 3.0 downstream ports, and a headphones jack. While most people will find the LG 43UD79 to be too big, those who can find a use of its exclusive features, such as displaying up to four 1080p sources at once, won’t mind its size. Have you found your best PC monitor for office work? If you have any additional questions, do not hesitate to ask us in the comments below. Overall, we recommend the ViewSonic VA2719 or the HP VH240a as the best monitors for dual setup (or multiple) when it comes to productivity on a budget. In case you don’t want multiple monitors or if your work involves audio/video editing, ultrawide displays such as the LG 34UC80 and the ViewSonic VP3881 are outstanding workstation monitors that will certainly make your job both easier and more enjoyable.